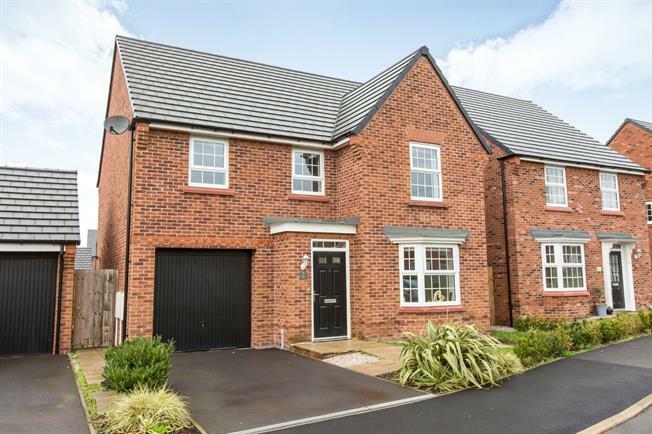 4 Bedroom Detached House For Sale in Sandbach for Offers in the region of £290,000. Very well presented four bedroom detached house offering spacious living accommodation for a family. Ideally located for access to a good range of local amenities and facilities including Sandbach railway station, shops and doctors. The stunning market town of Sandbach is a short drive away providing a wide range of shops, supermarkets, weekly markets and places of local interest. The property comprises of lounge, modern fitted kitchen diner, utility room and WC. To the first floor there are four bedrooms, master en-suite and separate family bathroom. Outside the property there is a garage and gardens to the front and enclosed to the rear. Call now to book your viewing.